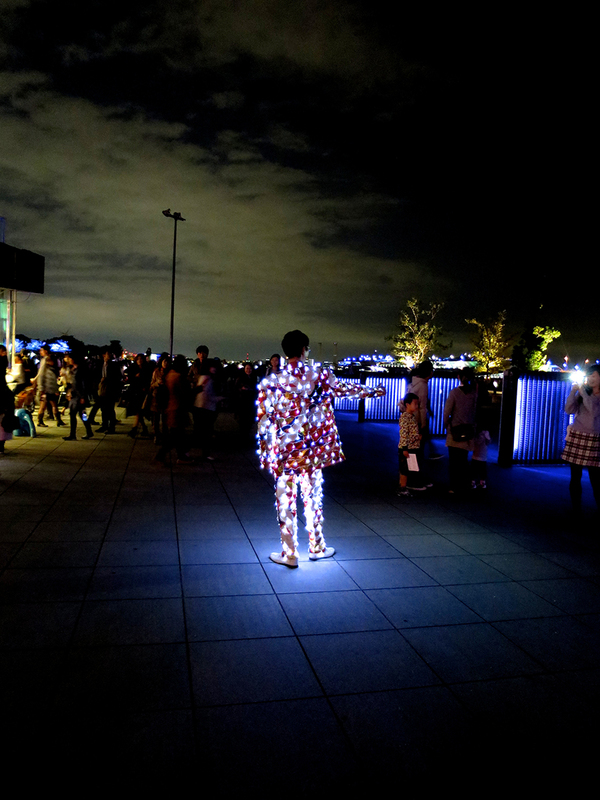 Home » Awesome Stuff To Do » 「Yokohama Smart Illuminations」: Wow. Just…wow. 「Yokohama Smart Illuminations」: Wow. Just…wow. 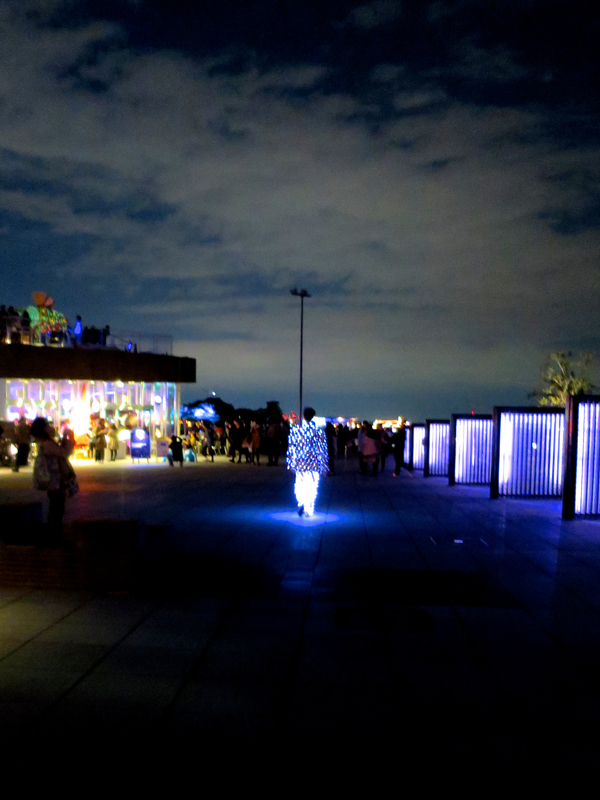 Last night I went to see what I thought was going to be a modest art-light event on the Yokohama waterfront, secretly expecting that the photos from past years were exaggerating the quality of the illuminations. I was SO WRONG! This event was spectacular. See for yourself! 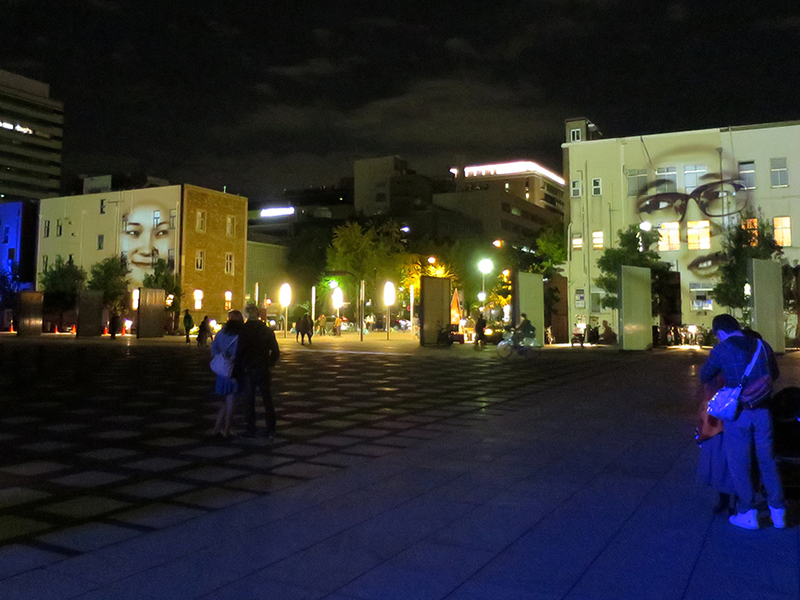 You know you’re in the right place when you chance across a plaza lit up in ever-changing colors. Suddenly, a voice boomed out from one of the buildings and a living face materialized in the wall! Then another one joined it, and they began to insult each other! 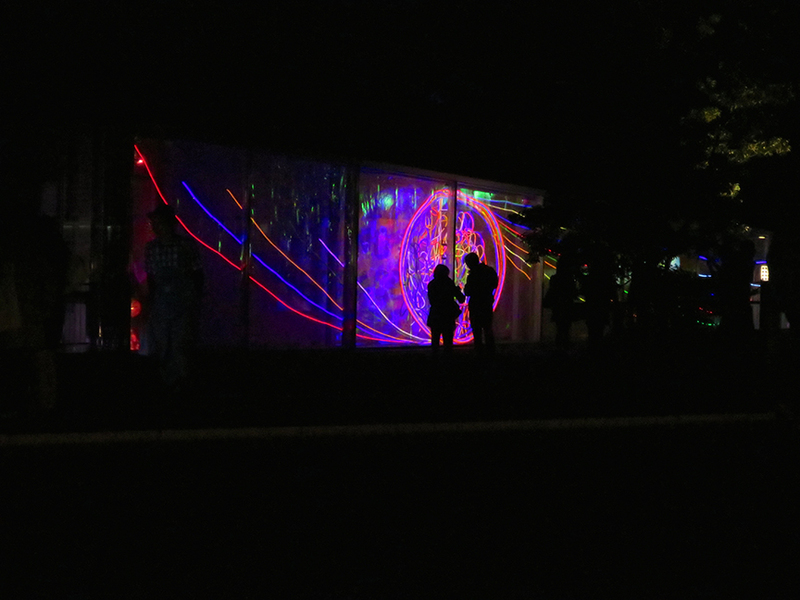 A crowd gathered nearby to watch a man in a fantastically illuminated suit. Wherever he walked, he took a little island of light with him. 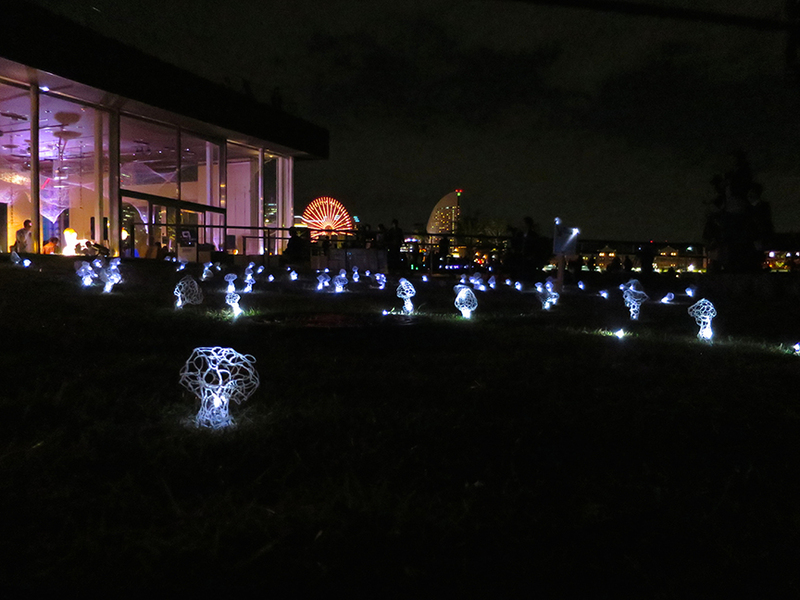 This field of eerily glowing mushrooms had a pressure pad set in their midst. If you jumped on it, tiny blue lights embedded in the ground flashed all around you. 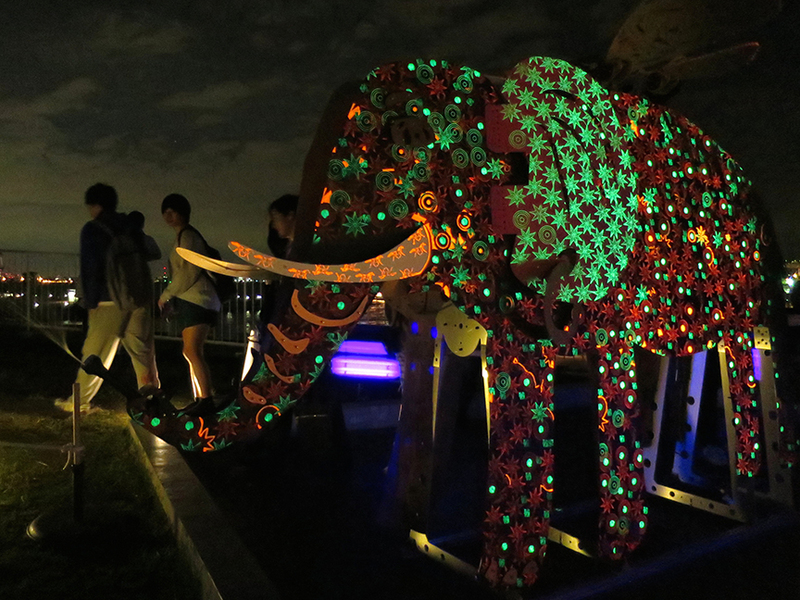 This glow-in-the-dark elephant squirted water from its trunk when its tail was cranked. 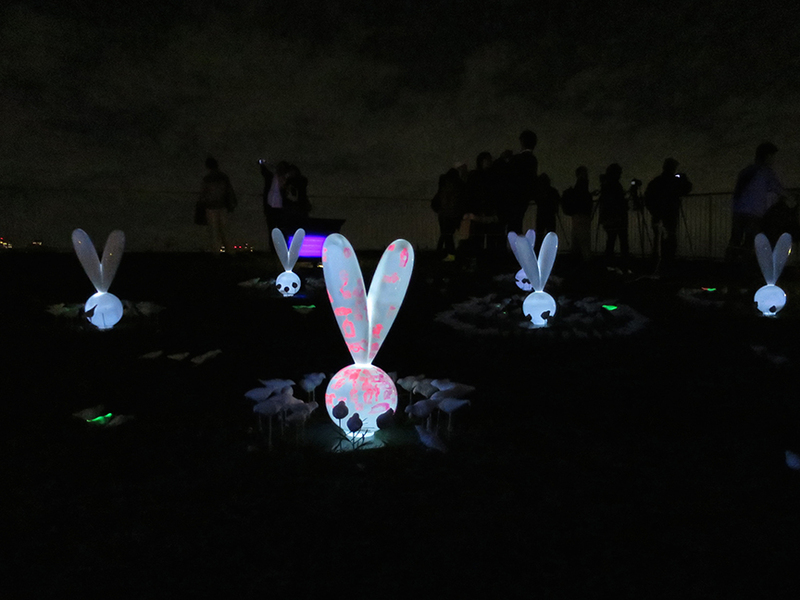 A garden of neon goth bunnies springs up in the middle of a lawn. 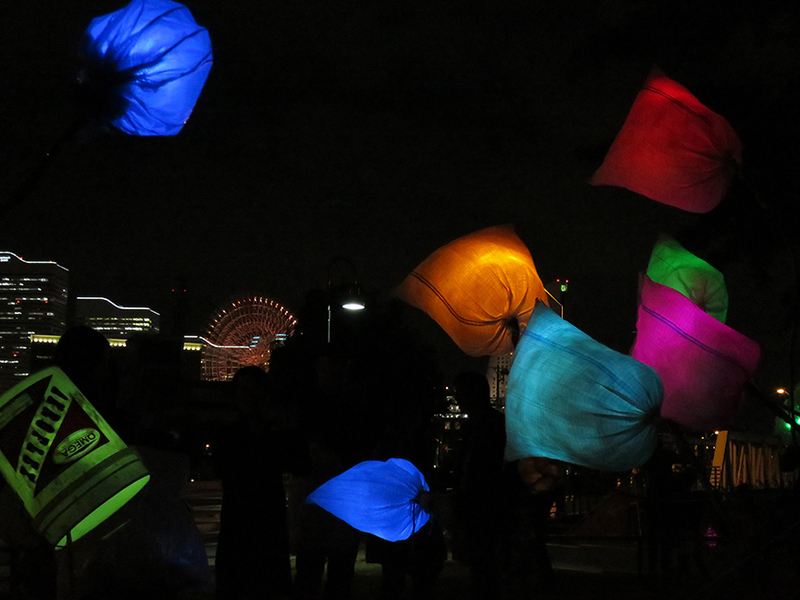 Lanterns made from odd materials float against the Yokohama skyline. 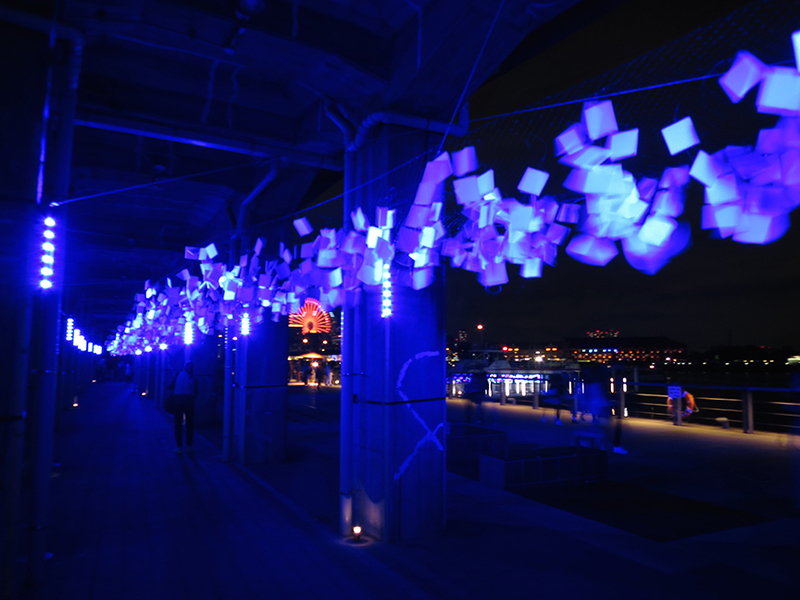 Under the old train bridge, a rippling curtain of glowing panels flutters in the wind. 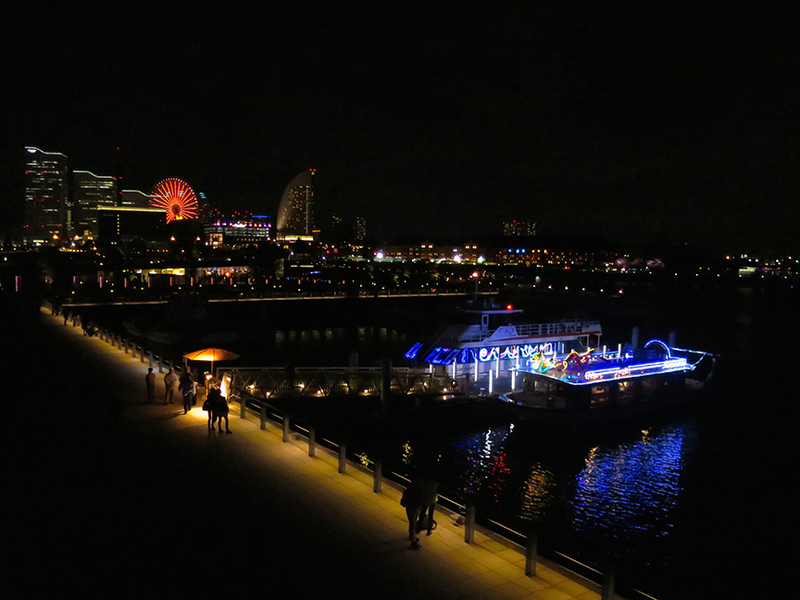 Even the sightseeing boats were bedizened with neon and fairy lights. 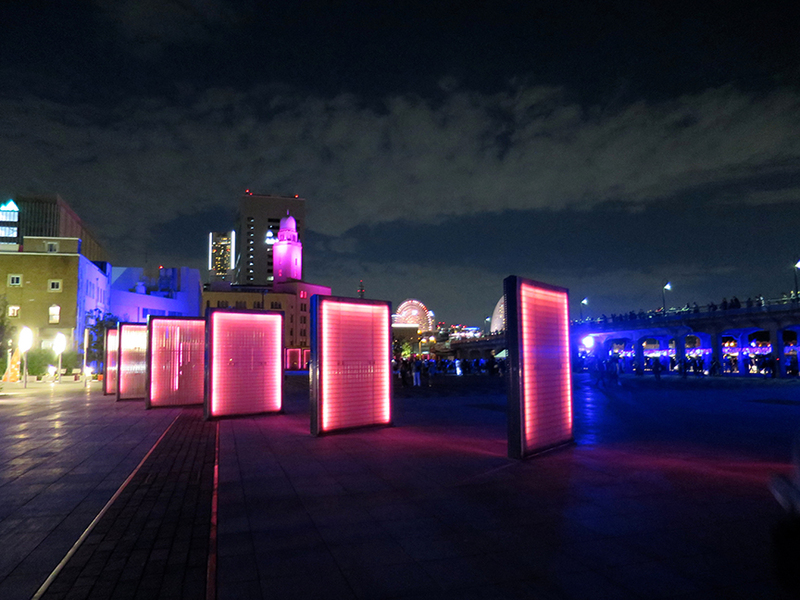 If you’re in Tokyo at the end of October and would like to see the Yokohama Smart Illuminations, directions & a map are on my website, The Tokyo Guide I Wish I’d Had.